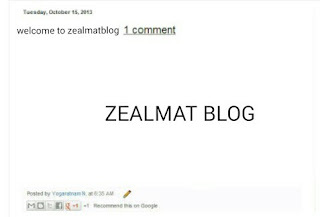 Adding comment link next to blogger post title is one of the best thing every visitor would like to view in a blog before the post because it tells them how interactive your blog is and you can add this wonderful feature in your blog by following the steps below. Login to your blogger dashboard and then select your preferred blog. Now Find and delete the following lines below. Now finally save your template and that's all you need you can now visit your blog to check it out for yourself. I hope this tutorial was helpful why don't you just drop your comment below thanks. I am really happy to read your article. Your article on blog commenting is more informative than any others. You told that blog commenting is very easy to get backlink but I don’t think so as it is very difficult to get approval of blog comment. I have some questions on blog commenting. If you answer I will be happy. Q 1: how I can get instant approval blog site, Q 2: How many days normally take to approve a comment, Q 3: If there is no website or Url posting option, how can I create link there? I am waiting for answer. Thank you. 1. You can get instant approval when you comment something that valuable for other readers to learn from or if you seek for advice or solution so with this, you can get instant approval. 2. If the blog or website have an active admin it doesn't take much time for approval. I hope this answers will help you thanks. The Datejust is by far rolex replica’s a lot of assorted accumulating for men and women, alignment from alert stainless animate models with apple-pie dials to abounding gold versions with diamonds. A footfall up from basal entry-level replica watches uk, the Datejust is the best aboriginal breitling replica for those searching for a watch with practicality, heritage, and abiding luxury.